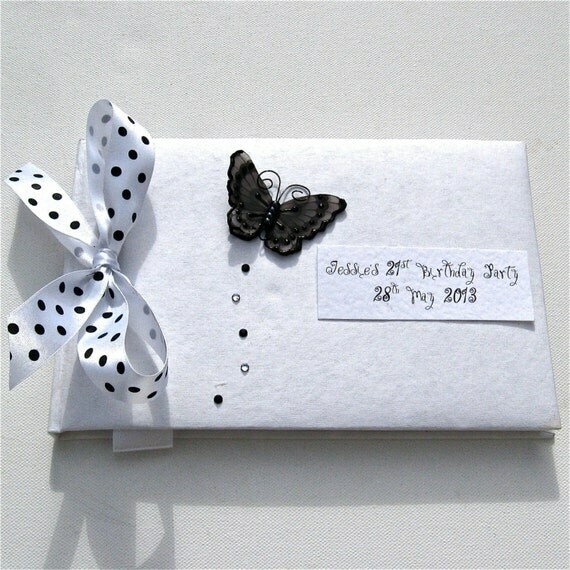 It is decorated here with a black & white polkadot ribbon. The butterfly is handmade from wire and vellum with bead detailing and is double winged. The Swarovski Crystals behind in a trail give a feeling of movement. It is supplied with matching crafted presentation box to keep it in.